Carriage garage doors can add a great deal of charm to homes in just about any architectural style. However, traditional carriage style doors are typically heavy, expensive, and a bit cumbersome. Our carriage style garage doors in Moorpark CA give you all the beauty of a carriage door in a roll-up design that works just like your existing garage door. If you want something really unique, we can help you order a custom door with the perfect design elements for your needs. Visit our online design center to get started. When you invest in a new garage door, you need to protect that investment by getting quality service all the way through, from purchase to installation. If you want to get the most out of your carriage garage doors in Moorpark CA, they need to be installed properly and professionally. Our installation technicians are highly experienced and you can rely on them to get the job done right the first time. We are happy to offer warranty coverage on our installations, as well as free 4-sided weatherstripping. Need Service for Carriage Garage Doors in Moorpark CA? Already have carriage garage doors in Moorpark CA? We can provide maintenance and repairs for both swing-open and roll-up carriage garage doors, as well as for the garage door openers that operate them. Whether you know what’s wrong with your garage door or not, we can draw on our 19 years of experience to help provide a fast and effective solution to the problem. Whatever your needs, you can trust Carroll Garage Doors to take excellent care of you. 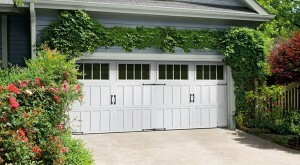 Call now for any kind of help with carriage garage doors in Moorpark CA.